Think outside the box by looking in! design displays literature clearly. Each pocket holds 1-3/4" of printed material. Thermoformed one-piece units have no sharp edges or corners. The displays are wall mountable with hardware included. 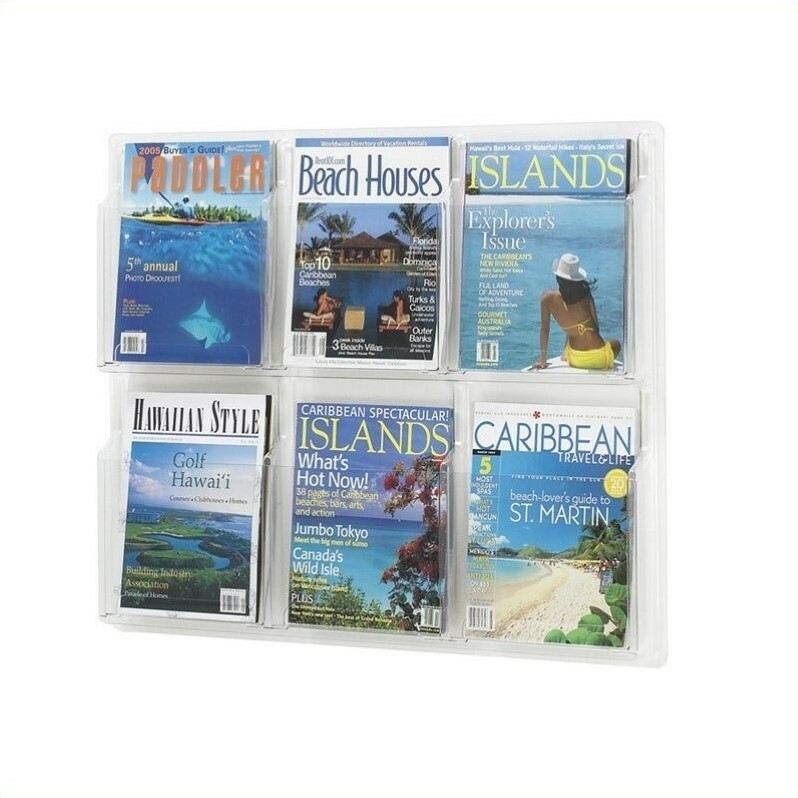 Wire partition hangers fit all Displays. Finished Product Weight: 8 lbs. * As an industry leader, Scranton & Co aims to set high environmental standards offering a large collection of GREENGUARD Indoor Air Quality Certified products and GREENGUARD Children and Schools Certified products. The GREENGUARD Certification Program is internationally recognized for evaluating product emissions and certifying building materials, furnishings, finishes, and cleaning products and processes that meet stringent indoor air quality criteria defined by GEI.